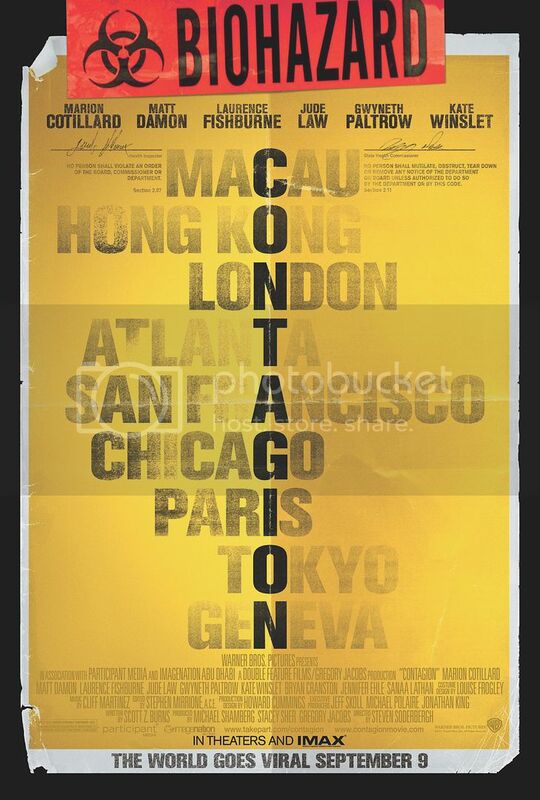 Contagion official movie poster ©2011 Warner Brothers, all rights reserved. “Don’t talk to anyone, don’t touch anyone.” The austere slogan of the new film Contagion mirrors the gripping subject matter of the latest addition to the pandemic disaster movie club. One of the most science-oriented films to be released in the last few years, Contagion follows the path of several scientists, public health workers, and ordinary citizens as a full-fledged pandemic breaks out from an unknown virus. It explores scientific, moral, social and ethical questions for how we would prepare as a modern society if such a tragedy ever struck us. Additionally, Contagion is a cinematic ode to the visual and technical wonders of modern science, on full display here, both in the storyline and the beatifully-designed sets and costumes. For a full ScriptPhD review, including information on the behind-the-scenes science consultants that worked with the film’s producers to create scientific realism, click “continue reading” below.